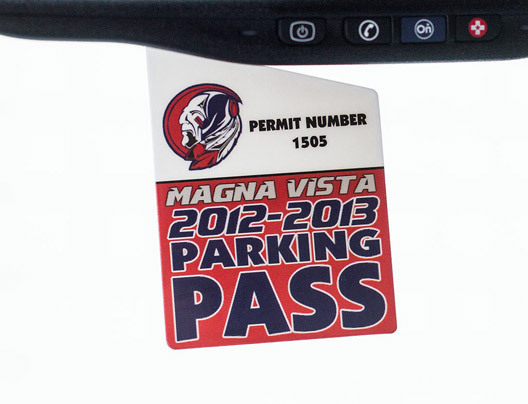 Parking Passes & Permits | Plastic Printers, Inc.
Keep your business or event secure with a custom parking pass which makes it easy to track from afar if guests, employees, students or residents should be accessing a parking lot or structure. 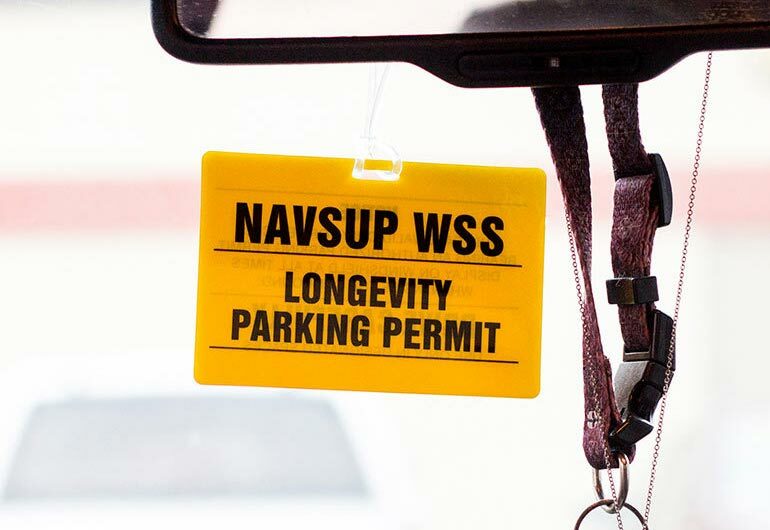 Parking permits are a way to ensure safety and enforce violations when necessary; hanging tags from the rear view mirror or window clings are most common pass or permit types. 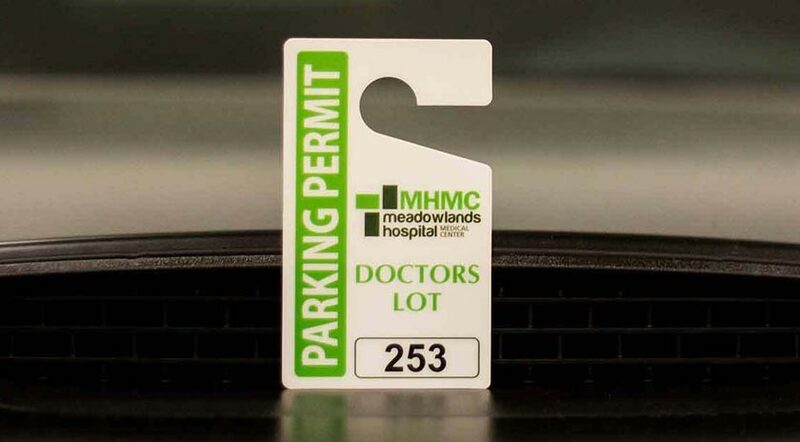 Parking passes and permits are desirable for Residential areas like condos, apartments and HOAs, guest parking, hospitals, schools, universities, event centers and large or private corporations. 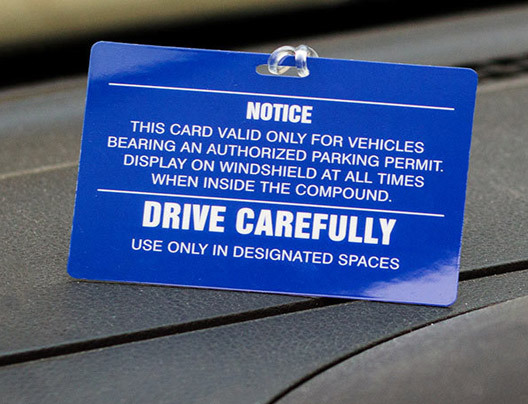 Sticking the parking pass to an automobile's window is a great way to have visual access to a permit that grants access. 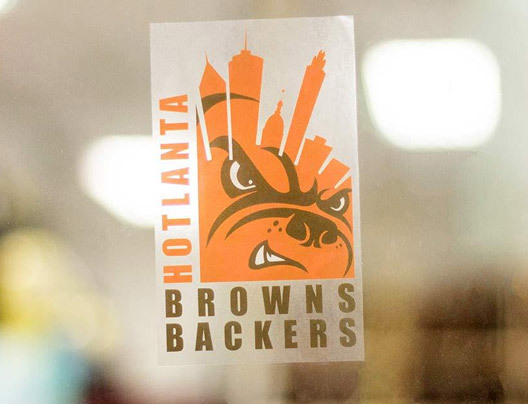 Essential for parks (state and local), amusement parks, fairs and festivals, sporting events and stadiums, zoos, really any annual membership driven business or parking structure. 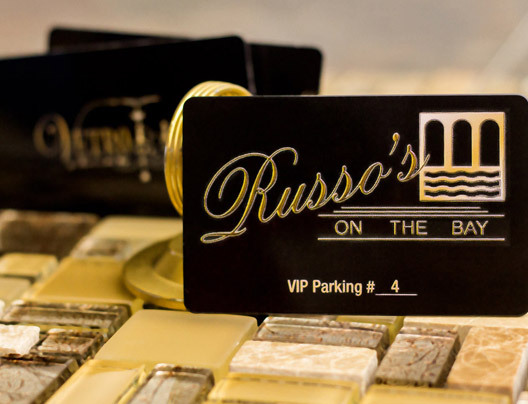 It is important to make it so your passes or permits cannot be easily replicated, let us help incorporate your logo, watermarks, unique numbers, or custom foil to make it undeniably impossible to duplicate. 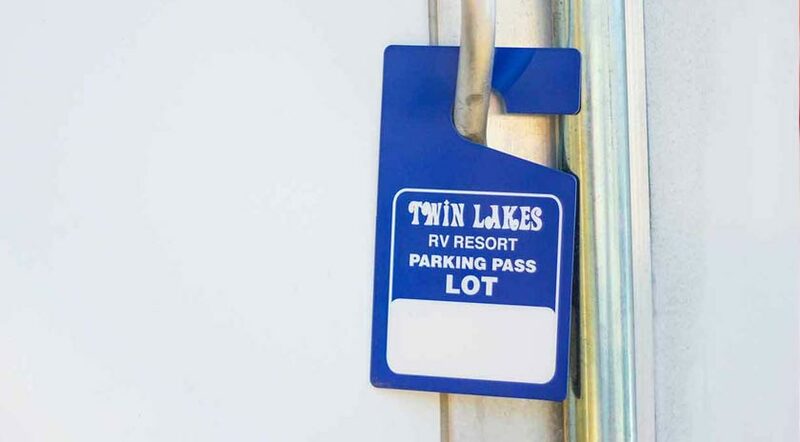 Some parking passes only allow access to certain parts of a facility or building, and all access pass would need to be special and different in color or code to allow security to see from afar if someone is permitted. Your passes don't have to be boring we can design them to impress visitors, members, and students with vibrant colors and our high-quality durable plastic. Designed custom for your hospitals, apartments, school and more. 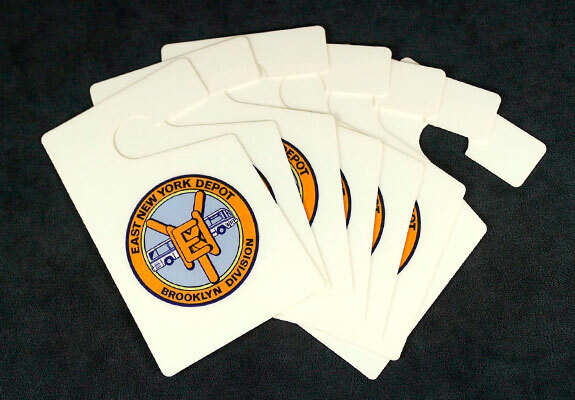 Choose from several custom shaped parking permits or have one made in the shape of your logo, mascot, or any unique shape you can think up. Let’s get started on your custom parking permits.